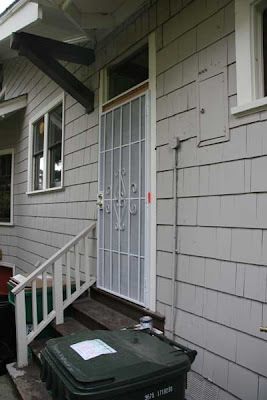 A security screen door was put on the back door. This will let us leave the back door open in the summer and be fairly safe from burglars and insects. Also notice the restored glass transom above the door! 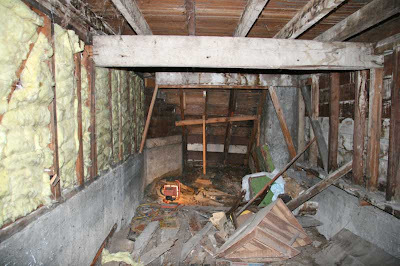 Some time in the past, a person decided that it would be 'better' to have a flimsy piece of plywood nailed up there. We also had a "Whole House Fan" installed. 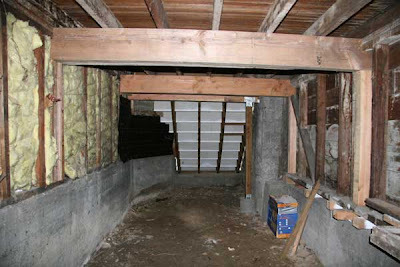 In the summer, this will help pull cool air in through windows and our new screen door (pictured above) and blow the hot house air into the attic (pictured on several previous posts) and then blow the super-hot attic air back outside. Pretty cool. In fact, I have a suspicion that John may be installing more of these things once all of our mutual friends see this in action in the summer. Here is a picture of the installation in progress. NOTE: Apparently, cheaper versions of this fan are really loud--but we bought a good one, and it doesn't seem any louder than typical box fan on high. We bought the HV1000. 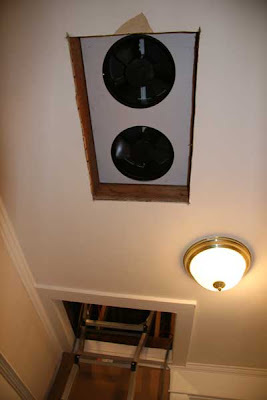 Learn more: http://www.wholehousefan.com/. And here is the finished result. 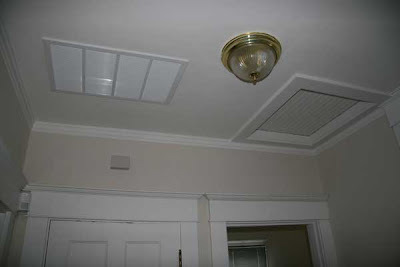 The screen on the left is the fan, and the hatch on the right is the attic access. The fan is practically invisible after it's installed. And I leave you with a porch before & after shots. Quite a difference.